I know, I know. I’m off to a bad start in 2013. I still haven’t scored a winning trade YET, but that doesn’t mean I’m giving up! Here’s what I plan to do this coming week. It was a pretty volatile week full of divergences among currencies. While we used to see the majors trade according to risk on/risk off, it seems like currency-specific factors were the main movers. I think it was partly because there wasn’t much in terms of U.S. economic data that was released. On the other hand, the BOE and ECB gave traders a lot of information for traders to sink their teeth into. ECB President Mario Draghi hinted that the central bank is open to further action. This in turn sparked a sell-off on the shared currency on Friday. Meanwhile, incoming BOE Governor Mark Carney caught a lot of market participants by surprise when he said that the BOE’s current set of stimulus measures may be enough to spur growth. As Forex Gump said on his Piponomics article on Sunday, this was contrary to expectations as investors thought that Carney would hint at aggressive easing when he comes into office. EUR/USD seems to have reversed its trend as it has been making “lower highs” and “lower lows.” Price is also trading below both the 100 and 200 SMAs. With price consolidating, I think there is a chance that we’ll see a pullback soon. 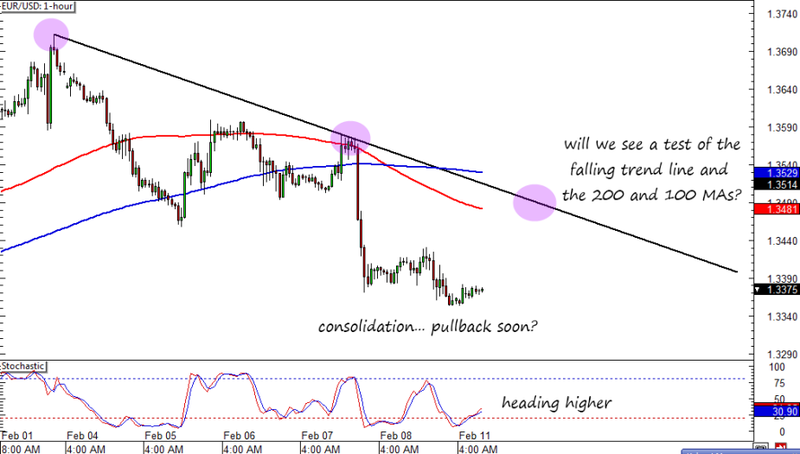 If that happens, I just might enter at the falling trend line. I’ll just have to wait and see. 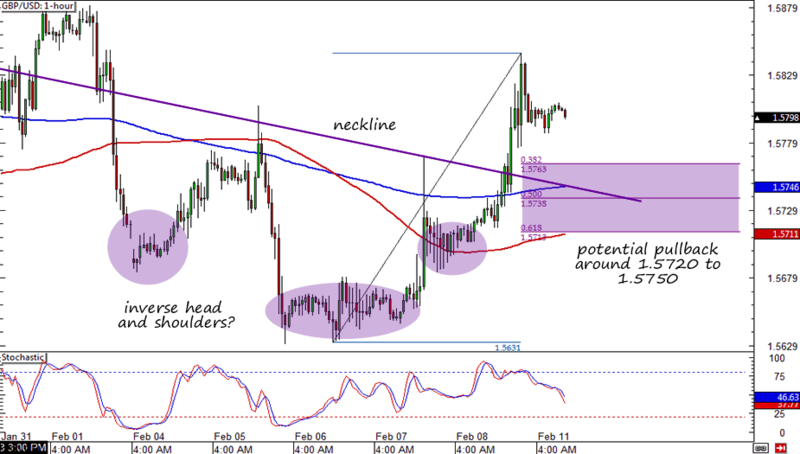 I don’t know if it’s just me, but Cable looks like it has formed an inverse head and shoulders. Given the shift in the pound’s fundamental landscape and this reversal chart pattern, I’m going to look for an opportunity to go long on GBP/USD. The neckline and the moving averages seem to coincide nicely with the Fibonacci retracement levels between 1.5720 to 1.5750. Once reversal candlesticks materialize around this area, I will be ready to pull the trigger!